How does our solution for mobile border control look like? Have you already tested our MobilePass device? MobilePass - who are we? MobilePass is a FP7 research project, which started in 2014. 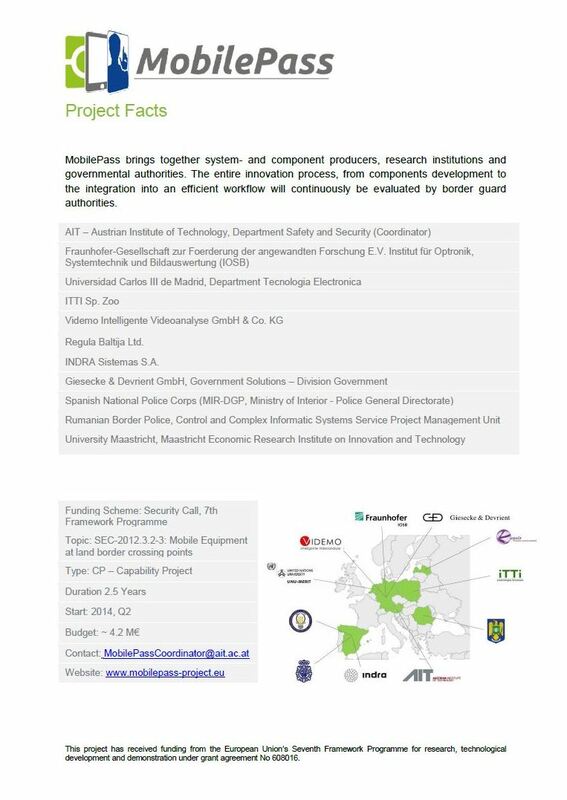 Over 2 years, the MobilePass Consortium focused its efforts on developing a technologically advanced mobile equipment for the land border crossing points. This new device enables border control authorities to check European, visa-holding and frequent third country travellers in a comfortable, fast and secure way. The mobile solution incorporates new technologies needed in mobile scenarios and embeds them in the actual border crossing workflow to speed up control procedures. December 2016: MobilePass demo at the Romanian - Moldawian Border was finished.